Atypical for her time, Mary Vaux defies all gender roles, mountain weather and traditions to spark the first glaciology study in North America, right in our backyard on the Illecillewaet Glacier. Her perseverance brings her back to the same glacier for five decades. A 360 immersive version of the film is also available for screening. There will be a photo exhibit related to the project about water conservation in all its beauty and woman and glaciology starting on September 29th at the Revelstoke Visual Art Center (Luna Festival). To celebrate Canada’s history and Mary Vaux’s inspiring legacy we ventured onto the Illecillewaet Glacier, reenacting her research and her mountain travel in the restriction of Victorian dresses. We traced Mary’s footsteps and search for the rock that the Vaux family used to mark the retreat of the glacier, paying homage to a rebellious female pioneer and the important contributions of her early glacial research. The film creates an opportunity to engage youth, especially women, to follow radical leaders footsteps in scientific fields, photography and filmmaking and encourage them to push their physical limits. At a time when the progress of women’s right is in question and the limited extent of our planet’s natural resources is known, a narrative about the significance of both is needed. To understand more the impact of Mary on Glaciology and how the glaciers are affected by climate change, you can watch an interview with Glaciologist Alison Criscitiello. Mary Vaux is a well-known artist and botanist. In 1925, the Smithsonian published 400 of her illustrations in a five-volume work titled North American Wildflowers. She served as the president of the Society of Women Geographers in 1933. Mary ventured into the male-dominated world of mountain climbing, during a time when most women were restricted to heavy, restraining dresses and raising families. Mary didn’t marry until age 50 and she experienced the world like few females of her time, through extensive travel, climbing mountains, studying geology and botany, and breaking free of Victorian dresses to wear pants and hiking boots, just like the men. This summer I had the chance to meet Henry Vaux, grand nephew of Mary Vaux. Henry is retired now but was a professor in Water Resources at the University of Berkley California. 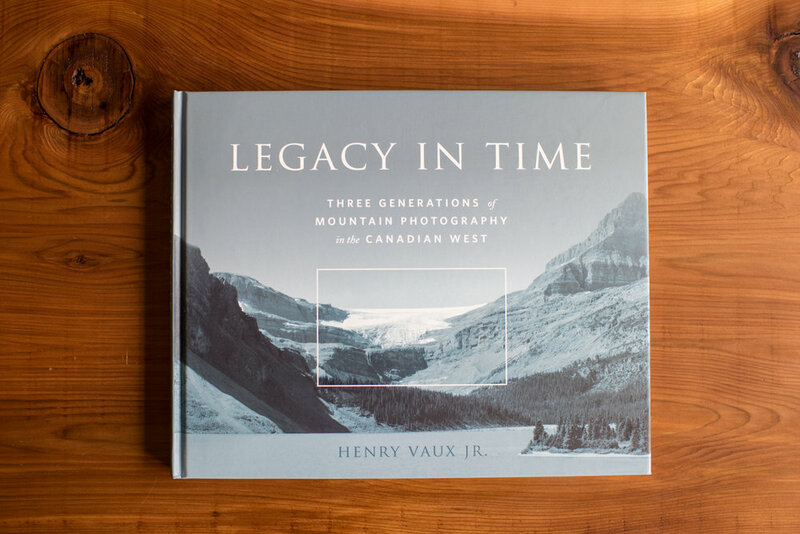 He is also an avid photographer and published a photo essay book "The Legacy in Time" where he took photos from the same view point as his ancestor to show the change in the landscapes and document the people who live today in our mountains. See the photo of Henry and his lovely wife Charlotte below as well as the book I am referring to.